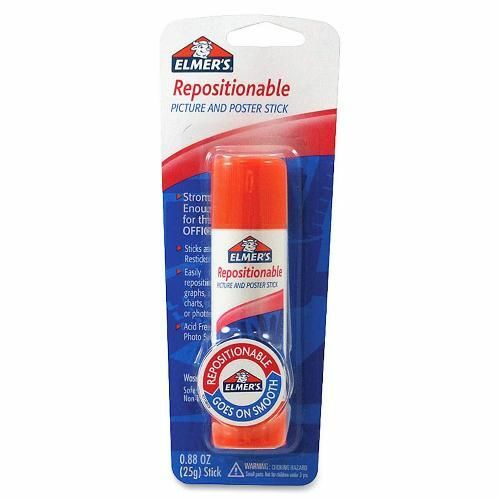 Repositionable glue stick lets you stick and re-stick. You can easily reposition graphs, charts, photos and more. For repositionable bonding, allow 60 seconds for the product to dry before applying materials together. To remove, start at one corner and gently pull away. Adhesive will not damage walls. For permanent bonding, immediately apply materials together, and the bond will form once the glue has dried. Glue goes on smoothly. Washable glue stick is acid-free, photo-safe and nontoxic.